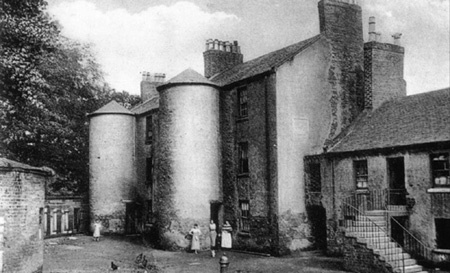 The residents of Shuttle Row are researched by Elaine Grieve, a list provided to me by email on 27th Dec 2013 to help track down an ancestry query. These are researched from the 1901 census. Hey Paul – thanks for this 1901 Shuttle Row census. Speaking about co-incidence – There is a Thomas Dolan listed here with a Mrs. Dolan (his wife or mother?) and children Thomas and Margaret and Sarah. My maternal grandfather Thomas Dolan married on July 14, 1911 and probably moved to Waterloo Row about that time. He was born in Ireland in 1885 and probably emigrated to Glasgow about 1905. He also had a son Thomas (born about 1917) and a daughter Margaret (born about 1923) but no Sarah. Maybe the 1901 Shuttle Row Tom Dolan is an uncle of my Grand-father? Could the 1911 census for Waterloo Row be gotten by you or someone else? This might show if my Tom Dolan or his future wife Helen Girvin lived in Waterloo Row before their marriage? Maybe the 1911 Shuttle Row census might have my Tom Dolan living with the Shuttle Row Dolan’s? Thanks good buddy – and the studio renovations look smashing! !